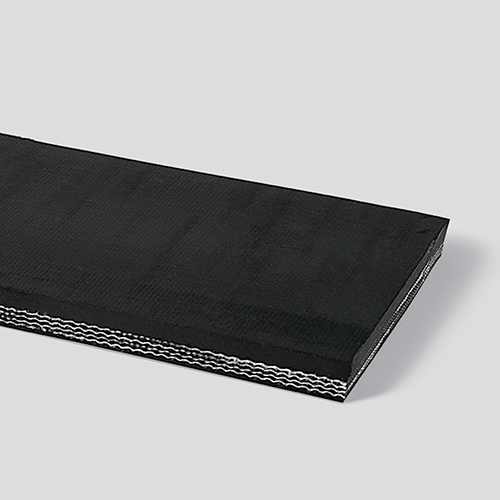 High tension 4-ply belt designed for heavy-duty elevator service to transport hot material. Thick top and bottom covers withstand heat and protect belt carcass. Will withstand spikes up to 450°F. Max operating temperature for fines and dense baking loads is 300°F. Thickness / Overall Gauge: 0.59375"
Temperature Range: 450°F for 2" lumps and above, 300°F for fines and dense/baking loads.